STUDENT TRAVEL GRANTS AND AWARDS CLOSE 31 MARCH. Submit your abstract now to be in to win a share of more than $10,000! Society members Kelvin Brockbank and John Bischof, among other authors, have recently been exciting media in the UK and abroad with research which may pave the way for successful cryopreservation of organs. The Guardian reports, "Pig heart valves and blood vessels were infused with a cryoprotectant solution mixed with iron oxide nanoparticles, coated in silicon to make them biologically inert, and the samples were cooled in liquid nitrogen to -160C (-256F)." "For thawing, the sample was placed inside an electromagnetic coil, designed to generate an alternating magnetic field." Comments by Kelvin, John and Mehmet Toner can be found in the Guardian article. Read the original article in Science Translational Medicine. If you haven't yet renewed for 2017, there's still time! You'll need your username (below) to log in and complete the online renewal form. If you have already renewed, thank you for your ongoing support to the Society for Cryobiology. 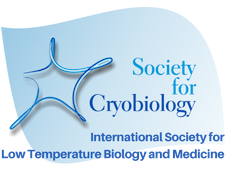 We are now seeking nominations for the 2017 Society for Cryobiology Cryo-Fellows program. Cryo-Fellows receive the Basil J. Luyet Medal which is the highest honour that the Society can bestow on a member. If you would like to nominate someone for consideration in 2017, please contact Nicole Evans. We trust that you will enjoy and benefit from your new membership! The Board of Governors has recently instituted a quarterly online meeting in order to more effectively serve our cryobiology community and achieve more of the goals we have for the Society. We held our first online meeting in February and one of the matters we discussed was the institution of a number of standing committees and working groups. 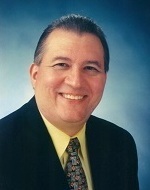 As you may recall, when Ed Kordoski took on the role of Executive Director 2 years ago, he held a number of interviews with prominent Society members, both past and present, to gauge the areas in which the Society could improve. One of the criticisms levelled at the governance of the Society was that it could be seen as elitist and closed off to everyday members, with little to no opportunity to get involved with the running of the Society. The board took this very seriously as we want to foster a strong scientific community with a sense of camaraderie where all members feel valued. After all, this Society belongs to all of you, whether you are a board member, individual member, student or retired member. To this end I have proposed a number of committees that we would like to populate with you, our members. Some of the committees are existing standing committees as outlined in our bylaws, and some are working groups and committees that we would like to introduce. Committee terms will be flexible, ranging from one year to several years, as we would like to give as many members the opportunity to participate as possible. I have briefly outlined the committees below, but full details are available to download. Please do give serious thought to joining a committee. If any of the committees outlined below sound like an area of the Society that you would like to get involved in please contact Nicole Evans in the first instance, as she will be pulling together all expressions of interest.Please let Nicole know which committee(s) you are interested in, or if you are happy to be appointed to a committee which needs members by April 15. Previous experience is not required, but if you do have experience which could prove useful to a particular committee please be sure to let Nicole know. I sincerely hope you will seize this opportunity to become a more active member of the Society for Cryobiology and help us to create a vibrant Society that flourishes under the leadership of its members. Description: The membership committee shall receive from the Secretary and review applications for membership in the Society and recommend acceptance or rejection to the Board of Governors; encourage and solicit membership to the Society. Description: The Finance Committee shall: assist the Treasurer in the preparation of the annual budget of the Society which shall be submitted to the Board of Governors on or before November 1 of each year; assist the Treasurer in carrying out his duties; recommend to the Board such audits of the Society’s books, accounts, and financial statements as it may determine to be necessary or advisable; recommend to the Treasurer investment instruments for Society funds; explore and recommend sources of additional funds for the Society. Description: The Program Committee shall: have responsibility for all scientific programs such as Annual Meeting, workshops, seminars, joint meetings, and continuing education courses; the Committee shall recommend a local chairman for the Annual Meeting to the Board of Governors for approval, shall specify the mechanisms used to approve papers for presentation at the Annual Meetings of the Society, and shall, together with the Chairman of the Local Committee, recommend all symposia topics to the Board of Governors for approval; have responsibility for recommendations of sites and dates for Annual Meetings at least two years in advance and for submitting these recommendations to the Board of Governors for approval; have responsibility for coordinating the organization of the Annual Meeting, the timely mailing of announcements, the call for abstracts, preparation of the program, and the establishment of such financial accounts as it may deem necessary to the Annual Meeting; the Committee may delegate these powers to the Chairman of the Local Committee established to run a particular Annual Meeting, but shall continue to oversee, advise, and assist such a committee; shall have responsibility for developing and proposing the Annual Meeting budget to the Board of Governors; have responsibility for transferring, or causing to have transferred, excess funds resulting from an Annual Meeting to the Treasurer for incorporation in the general funds of the Society. Description: The Publications Committee shall: assist the Editor-in-Chief in the performance of his duties; have responsibility for all publications approved by the Board of Governors other than the Journal; have responsibility for studying problems related to the Journal and other Society publications and recommending policies for approval by the Board of Governors; make recommendations to the Board of Governors concerning the election of the Editor-in-Chief of the Journal; make recommendations after consultation with the Editor-in- Chief to the Board of Governors concerning the magnitude of the Journal Reserve Fund. Description: This committee shall be responsible for: developing new awards and recognition programs for members; promoting and communicating the Societies award programs, managing and reviewing all award application processes (including the Cryo-Fellows program); identifying sources of funding for new or existing award programs. Description: The student committee shall be responsible for: organizing International Cryobiology Young Researchers’ (ICYR) activities and networking opportunities at the Annual Meeting; assisting with devising and implementing a plan to retain student members after graduation;identifying and posting items of interest to the Society’s social media accounts; discussing matters of importance to the student membership community and liaising with the Board of Governors via an elected student representative to the Board. Description: This working group shall be responsible for reviewing and bringing forward to the Board of Governors revisions to the Society for Cryobiology’s Bylaws, Articles of Incorporation, and Policies and Procedures documents. Description: The Sponsorship and Fundraising Working Group shall be responsible for: developing a sustainable program for annual sponsorship, exhibitor participation and fundraising for the annual meeting. This group will specifically focus on developing and executing a fundraising program for the 2018 Annual Meeting. Express your interest now! Contact Nicole Evans by April 15 with your preferred committee(s) and any relevant experience you may have. On February 16th the SfC Board held its first 2017 quarterly meeting via online teleconference. Minutes of the meeting can be found under Annual Meeting Minutes and Agendas in the Members Only area of the website. Instead of only one face-to-face meeting at the annual conference, we will now have 4 online quarterly meetings and the usual face-to-face meeting at the annual conference. This will allow our Society to address many more issues and get governance work done more quickly and easily. An important part of that meeting was a discussion of our success against our first ever 2016 SfC Business and Tactical Plan. I can happily report that the great majority of our objectives were met in this overly aggressive plan and you can read about them in the minutes. The financial security of the Society is critical and that was addressed under Strategic Direction 3. A lot of emphasis was placed on our annual meetings. Year after year a local organizing committee develops the entire meeting from the ground up basically reinventing the wheel over and over. Financial success is very spotty and normally each meeting breaks even or losses money. This does not include the money from the Society, in which case every meeting in the last 10 years lost money! This year we tried bringing the organization of the conference in-house. My job was to handle all the logistics for the entire meeting and allow the committee members to focus on the technical program. The Board and the CRYO2016 Organizing and Program Committee members were very pleased with this arrangement. A 15-page post meeting report was written dissecting every aspect of the meeting and sent to the Board. Because of all the data and critical analyses done on the meeting, this report will serve as an example and the “gold standard” for all future annual meeting reports. It is clear that this is the correct approach to organize and implement future meetings since it makes use of staff strengths and allows members to focus on the technical programming without reinventing the wheel each year. A lot of progress has been made on this year’s 54th Annual Meeting that will be held in Hefei, China on July 20 – 24, 2017. The theme for the conference is Cryopreservation and Biobanking for Advanced Research and Modern Agriculture and P4 Precision Medicine. Accommodations and the conference will be at the 5-Star Hefei Fengda International Hotel where room rates are far less than $100USD/night and include breakfast, room service, Wi-Fi, the fitness center, and many other amenities. A full social program is being planned and includes post-conference tours beginning on Tuesday, July 25th of nearby Hefei, Lake Chaohu, Sanhe, the stunning Yellow Mountains, and Beijing to take advantage of this unique opportuity and location, so plan now to bring the entire family or that significant other in your life and enjoy beautiful China! Please see all the continuing updates on the CRYO2017 website. Editor-in-Chief of Cryobiology, David Rawson, is pleased to announce Barbara M. Reed, pictured right, as Cryobiology's newest associate editor. Barbara is retired from the US Department of Agriculture in Corvallis, Oregon. 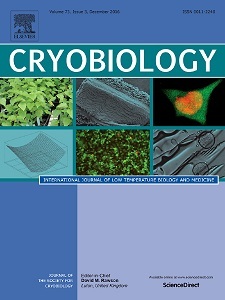 She joins Janet Elliott, based at the University of Alberta, Canada, and W. John Armitage based in Bristol, UK to complete Cryobiology's trio of associate editors who assist David in maintaining Cryobiology's high editorial standards. Barbara received a B.S. science education from the University of Nebraska-Lincoln, M.S. in Botany and Plant Pathology and Ph.D. in Botany from Oklahoma State University. Most of her career was as a research scientist with the US Department of Agriculture, Agricultural Research Service. She worked with in vitro culture, cold storage and cryopreservation of fruit, nut and specialty crops at the National Clonal Germplasm Repository, Corvallis, OR. During her tenure with the USDA she developed cryopreservation techniques for storing in vitro cultures of several fruit and nut crops and began a cryopreserved collection of germplasm. Barbara has extensive experience publishing, reviewing and editing a wide variety of scientific publications. She and her students have published over 100 manuscripts. In 2008 she edited a book on plant cryopreservation techniques. Barbara served as an Associate Editor for HortScience 1996-2002; was on the editorial board for CryoLetters 2001-2004; was an Associate Editor for Plant Cell Tissue and Organ Culture 2006 to present; and for In Vitro Cellular and Developmental Biology – Plant she was a Reviewing Editor 1997-2004 and Associate Editor 2004-present. She also reviewed manuscripts for Cryobiology and a wide variety of plant journals. She is looking forward to facilitating the publishing of plant cryobiology research in her new role as an Associate Editor of Cryobiology. 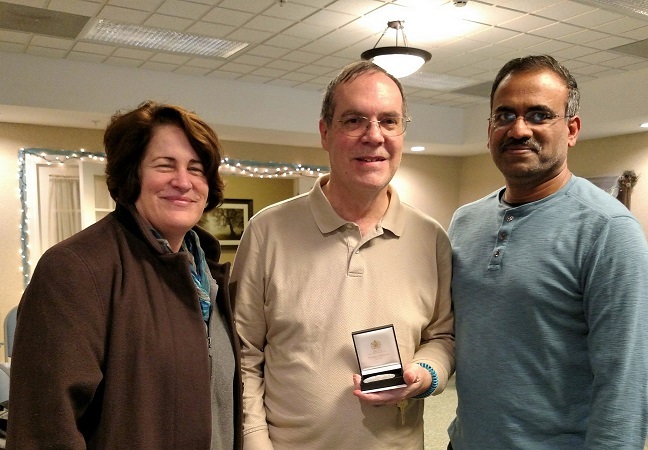 Bill Rall, a pioneer in the field of vitrification was honored this past January with the presentation of his Cryo-Fellow medal in Bethesda, MD, USA. The Basil J. Luyet Cryo-Fellow medal is the highest honor that the Society for Cryobiology can bestow. Each year the Society seeks nominations for outstanding individuals, however the medal is only awarded when the nominee is of the highest quality. Nominees are assessed by a panel on the scientific impact of their research on cryobiology and the sustained nature of that impact. Also taken into consideration are whether the individual has generated scientific offspring, and contributed service to the Society. Bill Rall fulfils all of these criteria and more and was awarded the prestigious medal, held by fewer than 25 scientists worldwide, in recognition of his pioneering work in vitrification. Bill (center), spent some time visiting with Bill and his wife, Jill, and during the course of their visit Mary shared some recent success stories regarding fish embryo cryopreservation, which pleased Bill greatly. The presentation was especially poignant for Bill and his wife, due to Bill's diagnosis of Early Onset Alzheimer's Disease several years ago. Mary said after the visit, "They were both so enormously touched and proud to be receiving this medal for Bill's extraordinary scientific achievements in cryobiology. This honor made them both very happy that day ... I felt very honored and happy to be able to share the experience with Bill." Greg Fahy (pictured below), member and Fellow of the Society for Cryobiology, who shared in Bill's pioneering research into vitrification, recounts the events that led to their collaboration in the 1980s. "I started investigating the possibility of vitrification as a solution to the problem of organ cryopreservation in 1979, based on the idea that high concentrations of cryoprotectants could allow large-system vitrification without the ultra-rapid cooling rates championed by Luyet in the 1930s-1950s. Although I published a few papers and abstracts on the subject, the topic remained obscure until it was presented at a symposium at the Society for Cryobiology’s annual meeting in Cambridge in 1983 and published in Cryobiology in 1984. Meanwhile, Bill, in the course of elegant cryomicroscopic investigations on frozen mouse embryos that were published in Nature in 1980, observed, remarkably, that in his protocol intracellular ice only formed during warming, and not during prior cooling, which could only mean that the cytoplasm had vitrified during the cooling step. He further nicely developed this concept in 1981-1983. When he heard my talk in 1983, he immediately recognized that what I was proposing would probably work, at least for mouse embryos, since they already survived at least intracellular vitrification. Bill came to my lab at the Red Cross circa 1984 to see if, together, we could demonstrate the feasibility of this proposed new method of cryopreservation. The rest, as they say, is history: we published our collaborative study showing successful vitrification of mouse embryos in Nature in 1985. Since then, vitrification has been applied to every imaginable biological system, but has had a particularly strong impact on the field of reproductive cryobiology, where it has been widely adopted in agriculture, human medicine, and animal science." Here's a quick glimpse inside the most recent issue of Cryobiology, Vol. 74, issue 1. Does Parmelina tiliacea lichen photosystem II survive at liquid nitrogen temperatures?